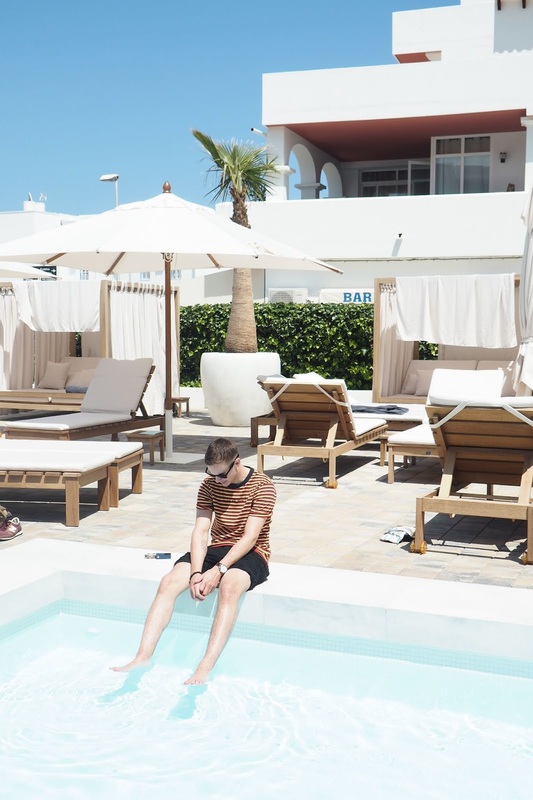 I was just a wee little nipper at the age of 13 when I first visited Ibiza and it was one of those places I'd always wanted to go back to. Obviously, as a tween I didn't get to experience the full island and all of it's craziness, it's beauty and everything it has to offer and it kind of became one of those places I'd been to, but hadn't really been to if you get what I mean. A place that you've been but it's sort of faded into the background of your memories that you can't really remember because it was that long ago. 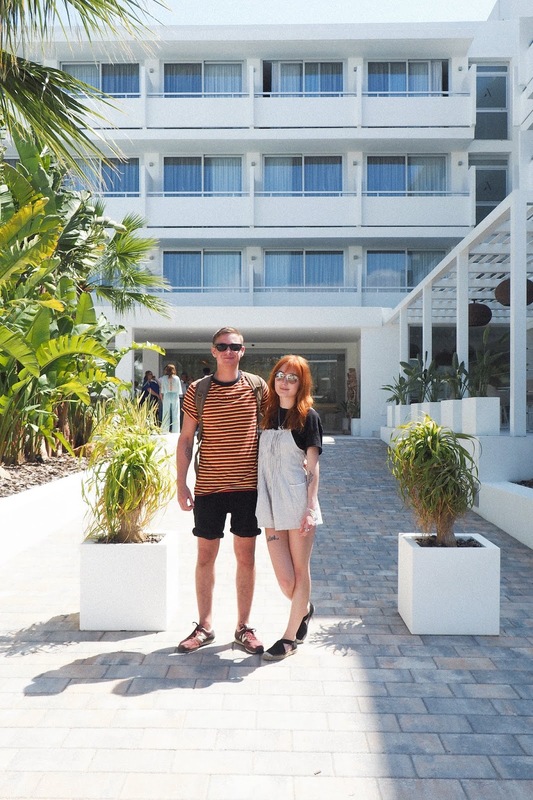 When Jet2 Holidays asked me and Andy to jet off to the famous Mediterranean Island, I could barely hold my excitement in. 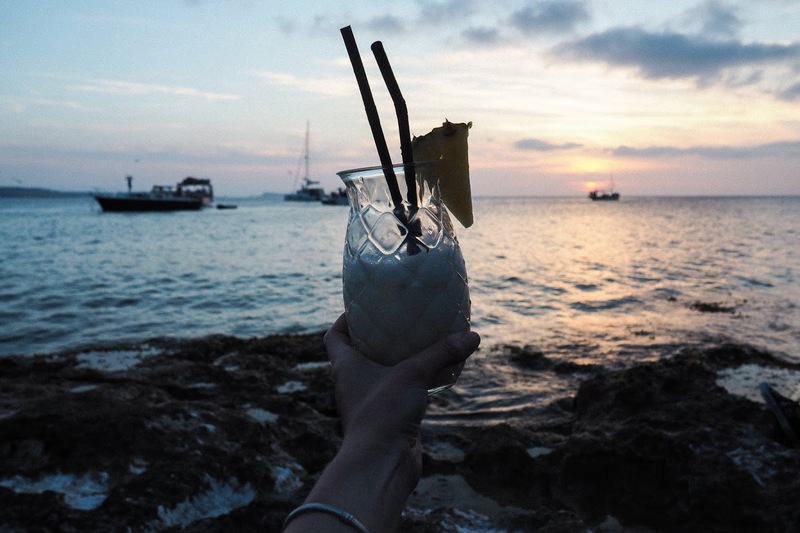 We explored Ibiza for a weekend at the beginning of May and perhaps surprisingly, it has so much more to offer than partying so here's a little round up of how to make the most of your time in Ibiza, no matter how long you have there. Choosing the right holiday or package for you and your own trip is crucial to making the most of your time, regardless of where you're headed. We flew from Newcastle with Jet2 and if I'm being honest they're probably the airline I've flown most with. The fares are cheap, the luggage allowance is massive and the hand luggage allowance also allows for a little extra case. I always find them so easy to fly with and our holiday being booked as a package was a new experience for me. With Jet2 Holidays, we got flights, accommodation and transfers booked all in one place and it was so easy I can't even describe it. 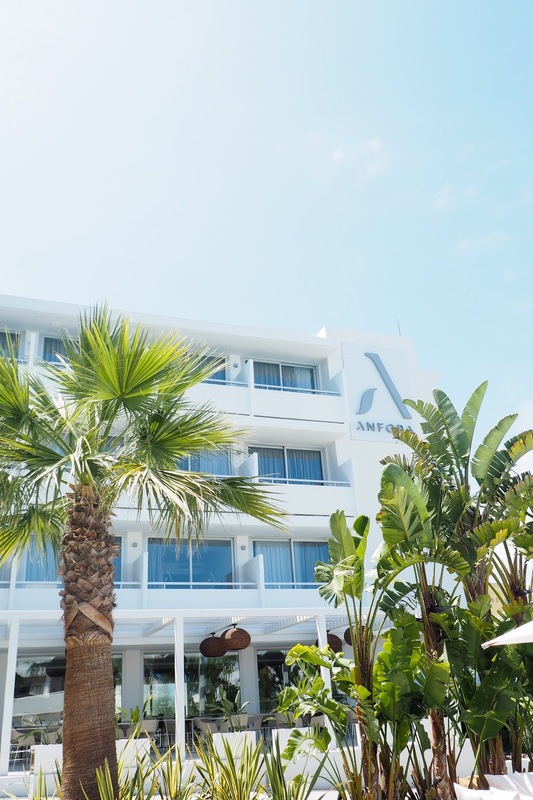 We stayed in the absolutely beautiful Hotel Anfora in Playa Es Canar on the East side of the Island and the hotel was absolutely lovely. The pool area was gorgeous as you can see by the photos, with palm trees and plants giving us privacy, lovely little sunbeds and loungers dotted all around and a jacuzzi area and second pool at the back of the hotel. 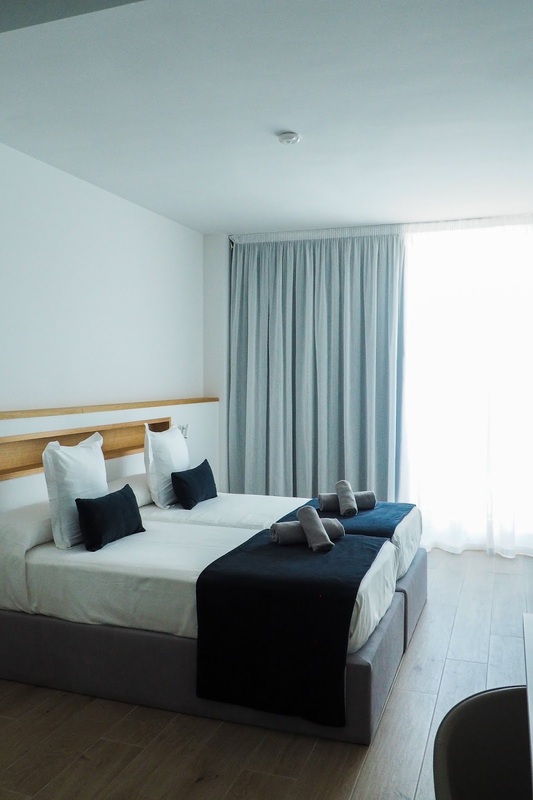 The rooms were really big and spacious and with the huge glass windows and balcony, the sunlight streamed in making the rooms really bright and airy. I loved the layout of the double room too as it was kind of open plan with the shower in the room, separated by only a glass door and the balcony caught all of the sun in the morning, it was such a nice place to have as our base. We went for breakfast one morning in the hotel too and it is definitely worth adding onto your room, with a huge buffet (yep, it had me at the word buffet too) with pancakes, omelettes, cheeses, cooked breakfast, champagne, teas and so many other little bits that just made it a little bit more special than your average hotel breakfast. As for the location, Es Canar is on the west side of the island and was the perfect base for us as we had plans to explore the island. 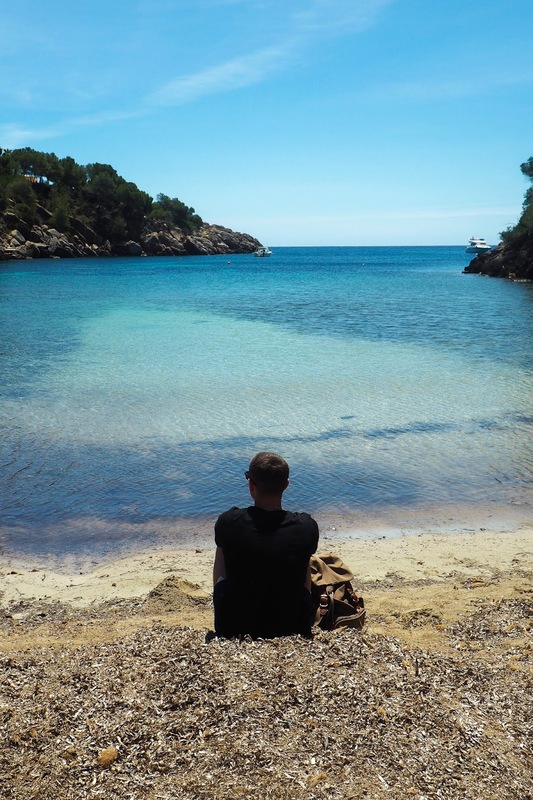 It's a quieter part of Ibiza with clean beaches and clear seas so if you want a pretty, serene place that's still within reach of clubs (about a 30 minute drive), then Es Canar is a good shout. 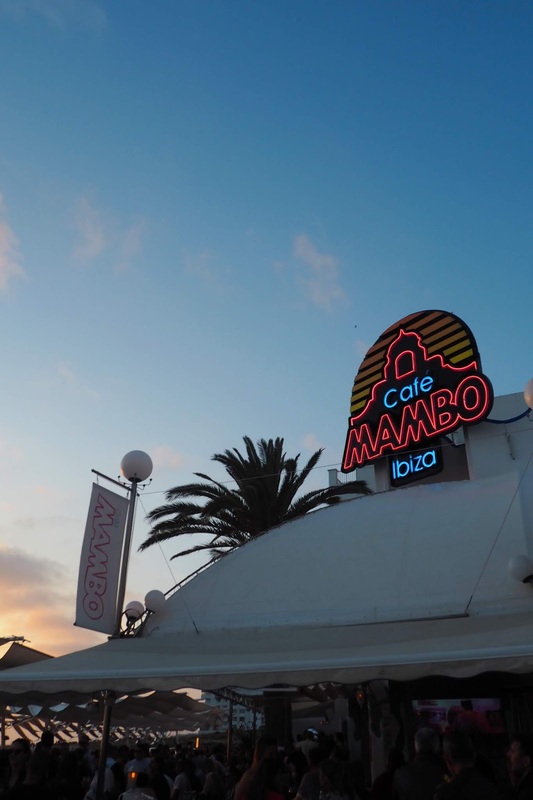 San Antonio is obviously where all the nightlife happens and is always buzzing with energy, full of bars and clubs, a busy beach and obviously the famous sunset. 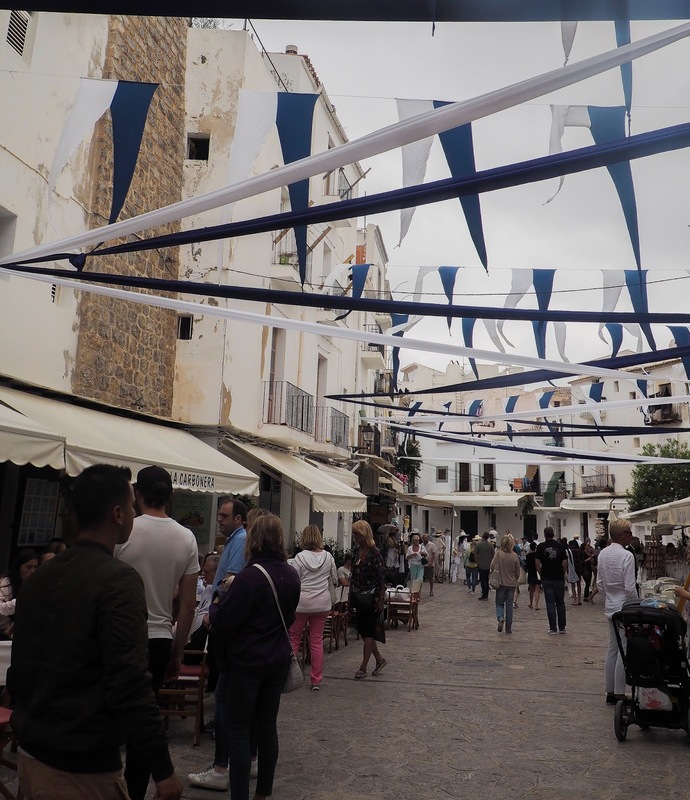 Ibiza Town is full of history with a lot of luxury hotels around this part and Portinax is at the very north of the island, with lot's of beautiful landscapes, family resorts and plenty of wild nature. If there's one thing that Ibiza is ultimately famous for worldwide, it's the nightlife so obviously we had to sample at least a few nights of partying! 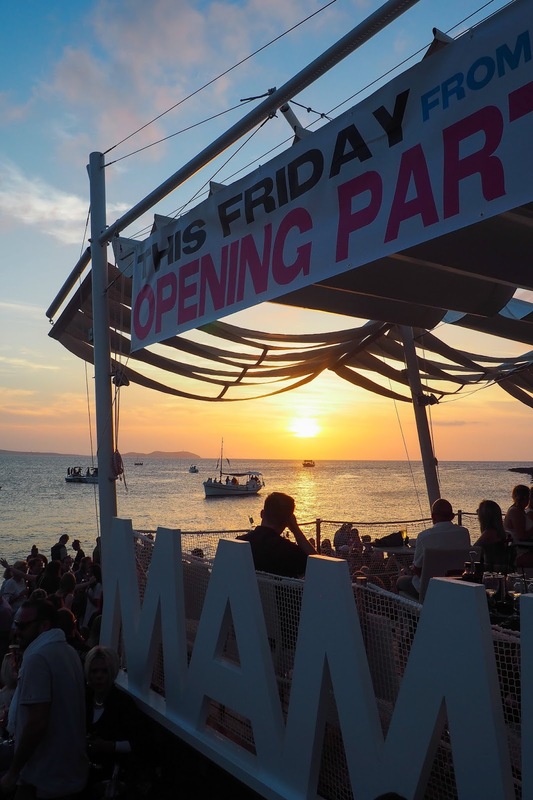 We were lucky enough to catch some of the island's biggest opening nights for it's clubs and bars, including the Cafe Mambo opening party and the Amnesia opening party and neither disappointed. Cafe Mambo was probably my favourite party place we visited, with a really chilled out, laidback vibe and obviously, the sunset was absolutely unbelievable, so much so that the photos just cannot do it justice and it's one of those things you've got to see in reality to appreciate it's beauty. I think I could have probably sat on the beach with one of Cafe Mambo's pina coladas for the rest of my life if I could have. Obviously it does get quite busy so get there early if you want to get a good spot for the sunset. On Saturday night it was time to experience Amnesia, arguably the club that is at the very heart of Ibiza's party reputation. I don't know about you but when I think of Ibiza's clubbing scene, the first place that comes to mind is Amnesia. 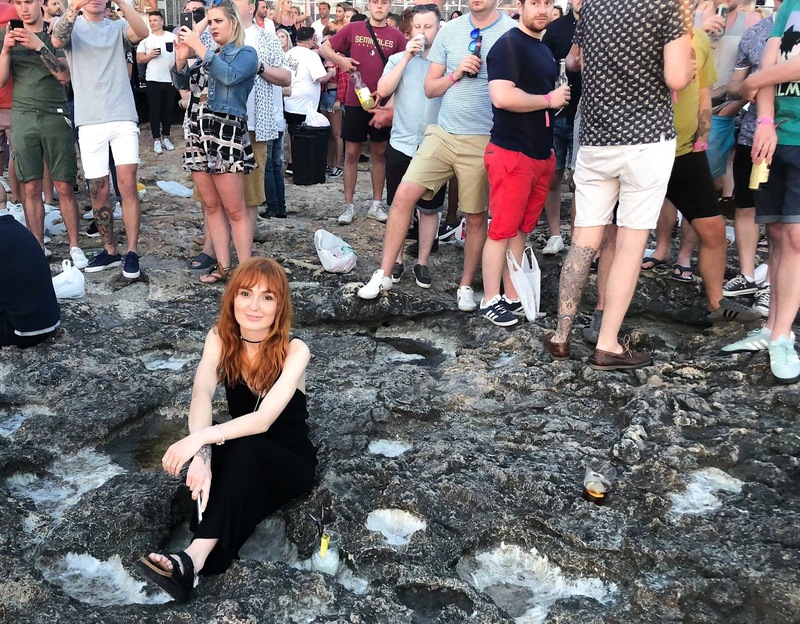 We went to the opening party which boasted an incredible line up with DJ EZ, Hannah Wants, Disciples and more and it really is an indescribable experience, packed shoulder to shoulder as the night goes on. It really is an all night party and I won't get into how wasted I got (I definitely was not sick in the car park) and if I were to go back during peak season, elrow is an event that I would have loved to go to. These nights can be pretty pricey though which is something to bear in mind - one drink in here will set you back around €18. 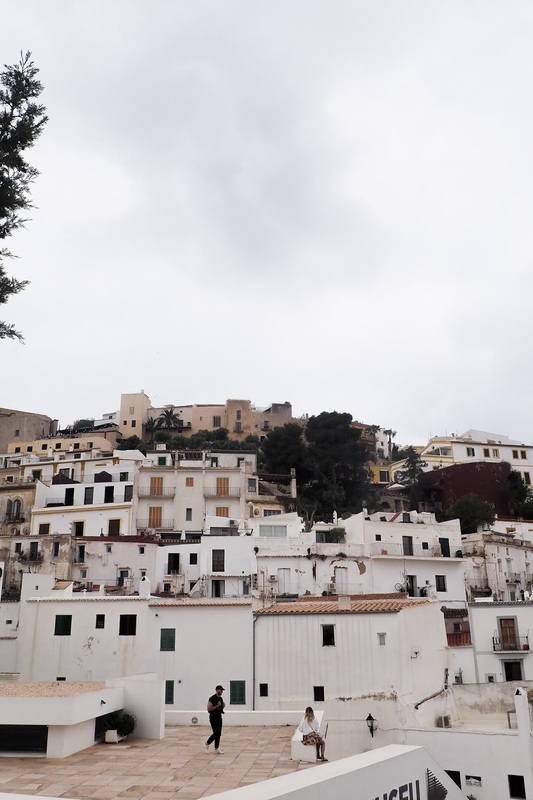 A UNESCO World Heritage site, Ibiza Town is the place to go if you're a little bit of an adventurer who likes to experience history and culture. The Old Town is simply beautiful with a bright and colourful harbour, winding cobbled streets lined with shops, cafes and restaurants and absolutely beautiful scenery (obviously an Instagrammers dream). 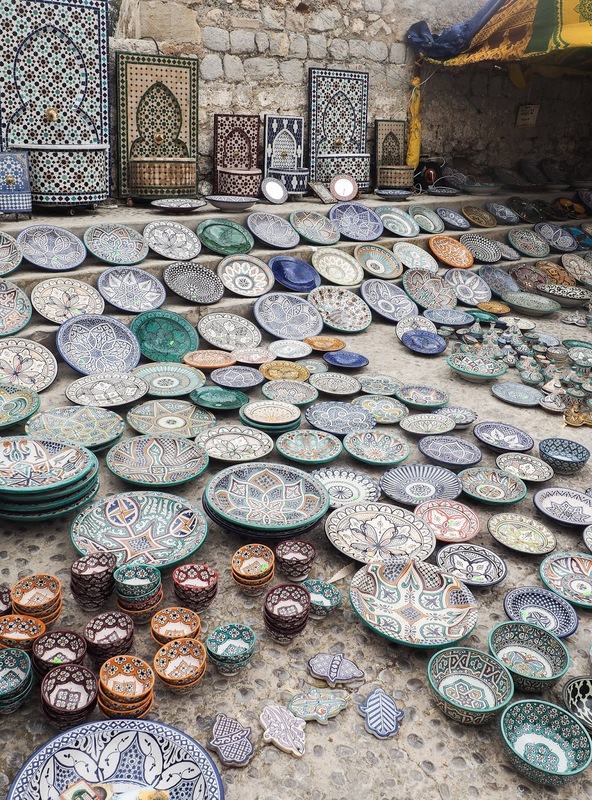 The streets boast market stalls, full of homemade honey, handmade pottery, jewellery and so much more and the bustling atmosphere made it a perfect place to sit outside of a coffee shop with a slice of cake. 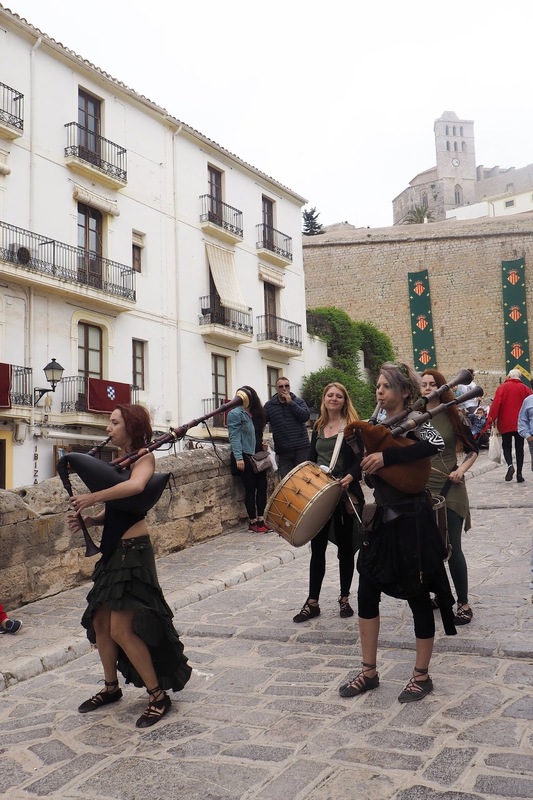 There were also various mini parades that seemed to happen throughout the day, with actors and musicians acting and dancing around the town and I literally could have spent all day here just wandering around. 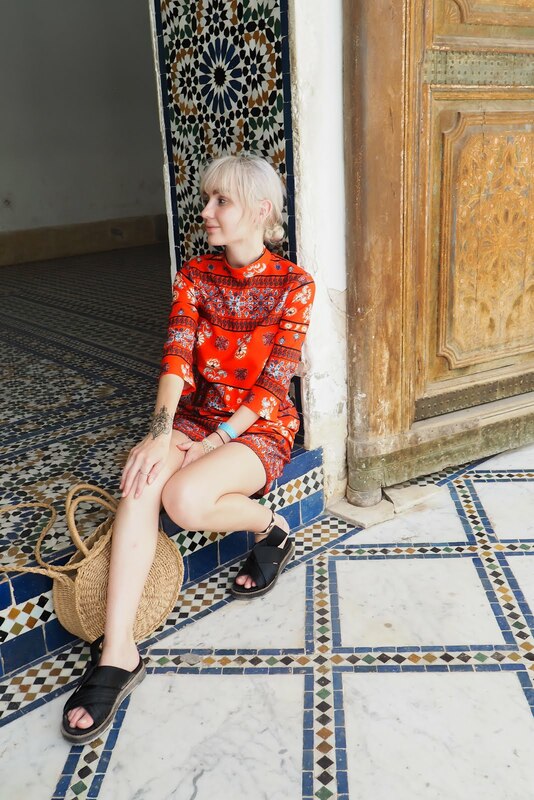 You'd never be stuck for things to do or see here, with museums and galleries, boutiques and adventures - it was my favourite part of the entire trip. I'm definitely a little sea baby and I just love to be at the beach. I love the salty air, the ocean breeze and just the smell of the beach but most of all, I just love how serene and calm I feel when I'm by the ocean. I automatically feel relaxed and at ease as soon as I see the blue water, even if I'm somewhere much less glamorous than Ibiza like my local beach that only offers up seagulls and a chippy. We knew we wanted to explore so we hired a car before we flew so we didn't miss anything out and I would highly recommend doing this if you're planning to venture out of where you're staying. Taxis can be very pricey whereas you can get a car from around €15 per day plus insurance so it works out ,much cheaper and not to mention easier. 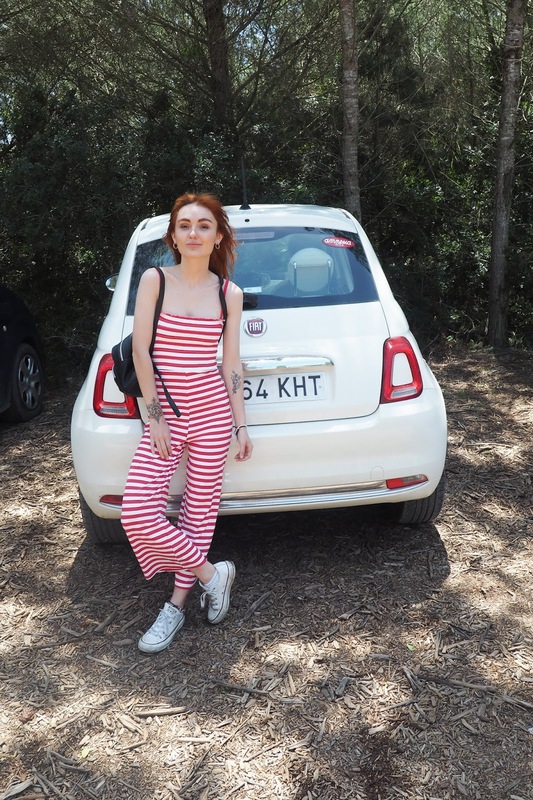 We got this lil Fiat 500 which I christened Felix and oh my god I just fell in love with him, I was so sad when we had to hand him back! Anyway, we spent a day cruising around in our little Fiat 500 and found some absolutely stunning beaches across the island. 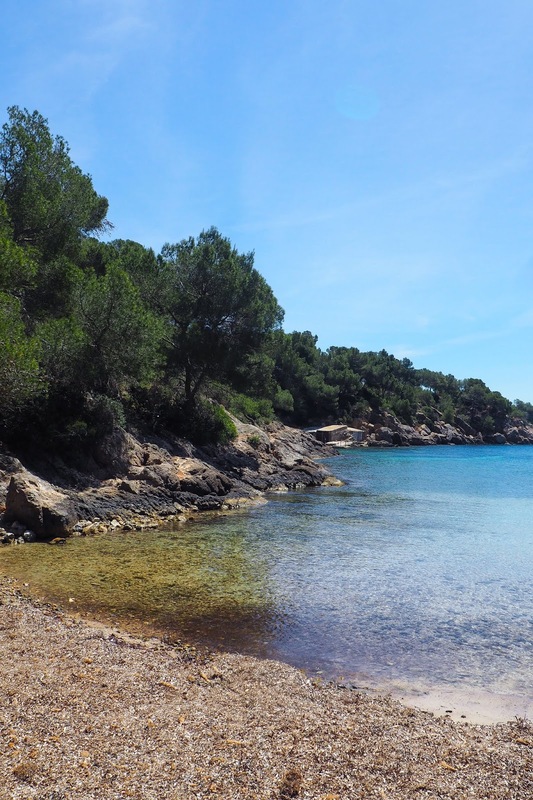 Our first stop was Cala Mastella on the east side of the island. 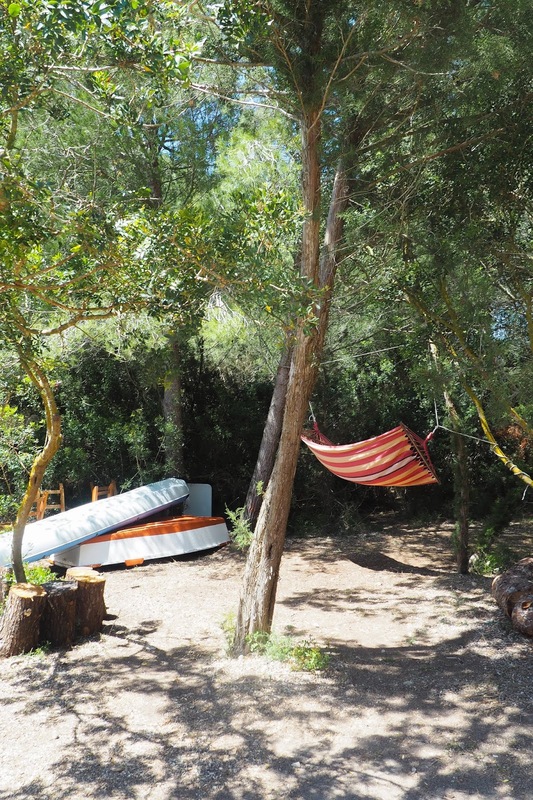 This one was my favourite out of all of the beaches we saw thanks to it's crystal clear waters, absolutely stunning pine scenery, hammocks and tables hiding in the shade and a little beach hut where you could buy fresh fish, handmade burgers and homemade crisps. The beach was really quiet with only a few locals dotted around and is well worth a visit if you can make the trip! Second was Cala Xucla which right at the very north of the island. This one is a really tiny, wild beach that lies down a really rocky, steep hill, surrounded by forests and trees. 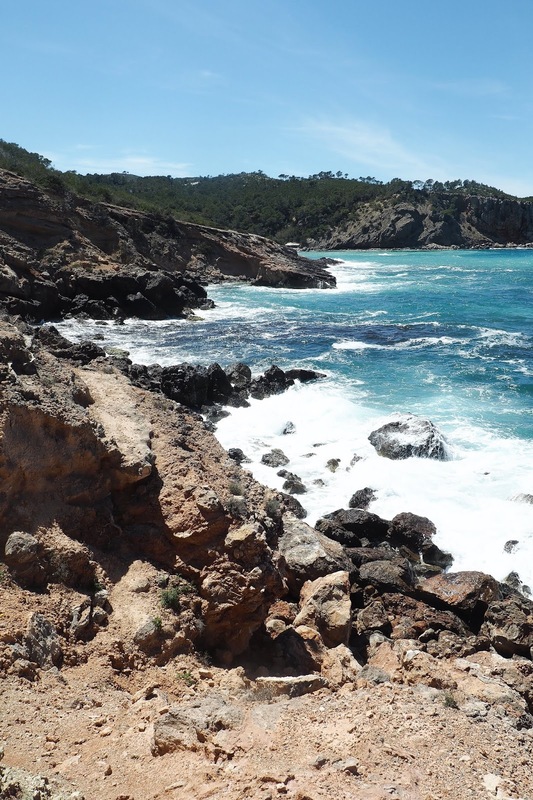 There are pretty fisherman's huts with crashing waves on the rocks and we spent a while here, climbing along the rock front to reach a really high peak with glorious views; this one is a beach for explorers. Third was S'illot des renli, another wild, rocky beach at the north of the island. 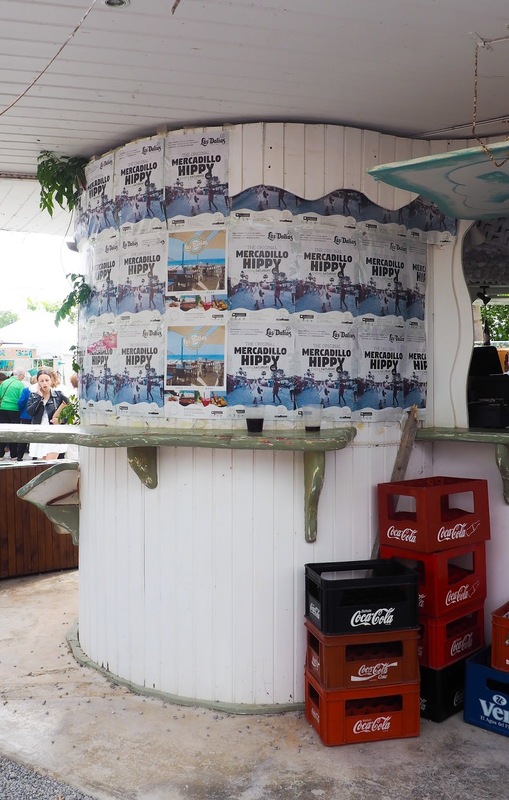 This one was full of families flying kites by the water with a popular restaurant right by the sea. The scenery was really beautiful here and this was another one that we went exploring and climbing around, finding tall rocks to climb and collecting shells. Finally, we went to one of the more popular beaches on the island at Ibiza Town. This isn't really a hidden beach as it was quite busy even on a windy day in May but it was full of locals walking their dogs, jet skis and beautiful views of the city so it's still worth a visit. 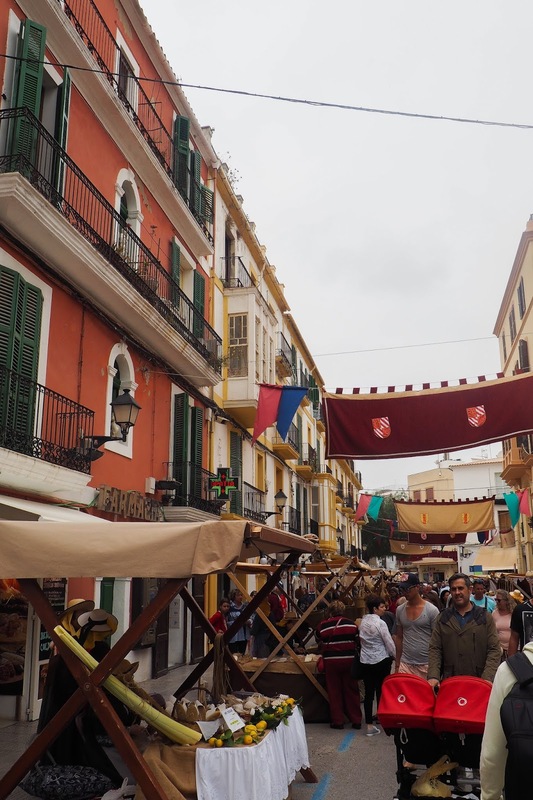 Finally, we spent a bit of time exploring Ibiza's markets, starting with the Old Market in Dalt Vila in the Old Town. 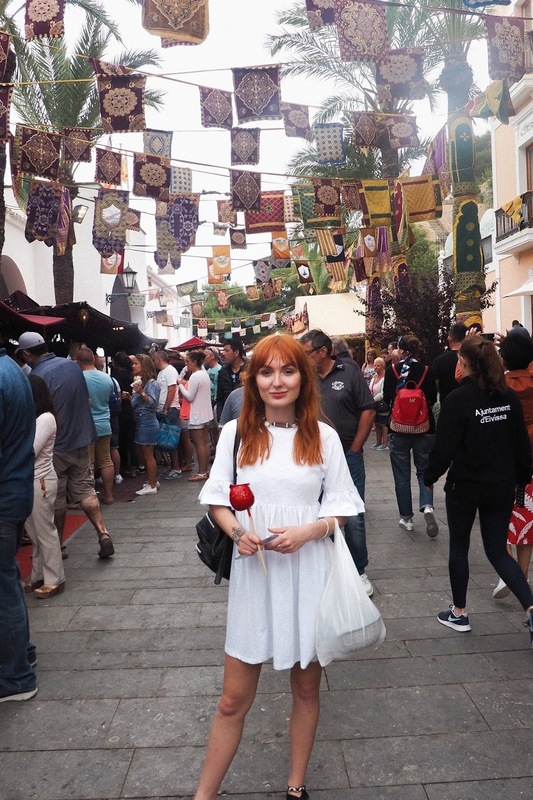 I'll admit it was a total accident we stumbled across this as we were exploring the Old Town but through the medieval gates into the walls of the city, we found a huge amount of market stalls, food stalls and creative shows that kept us entertained for ages. 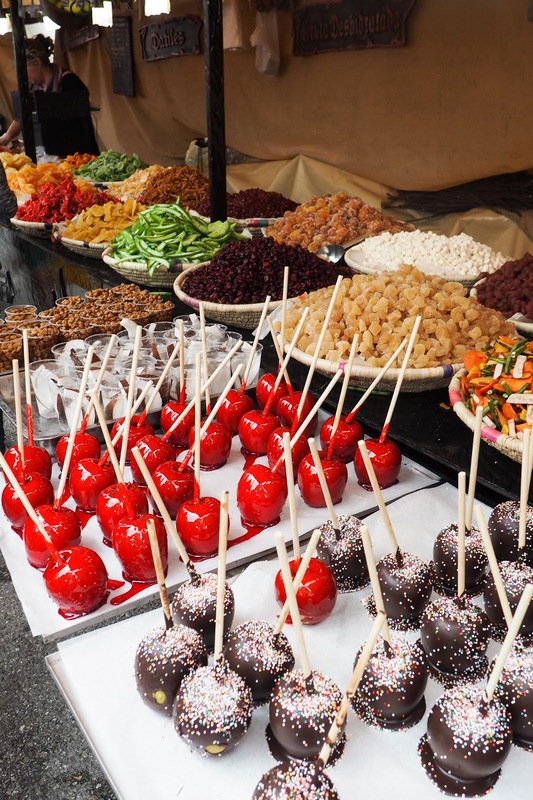 Each section of the market was themed differently (I nearly died of a heart attack when a jester in the medieval section creeped up on me and hit me from behind with a brush) and it was so much fun just wandering around each stall, buying candy apples, souvenirs and more. Because this was an accidental find I'm afraid I have no idea when the market is on or what times but if you can find out it's well worth a visit! 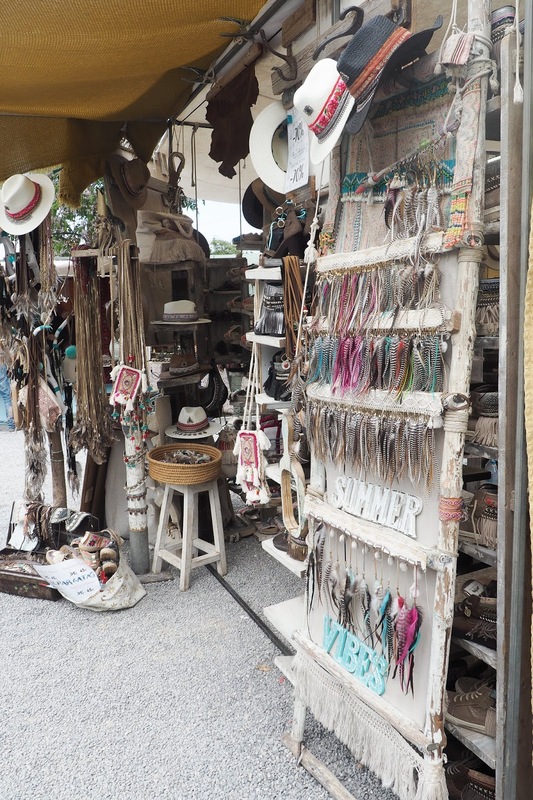 Ibiza is also home to hippy markets, something that I hadn't even heard of before our trip here. 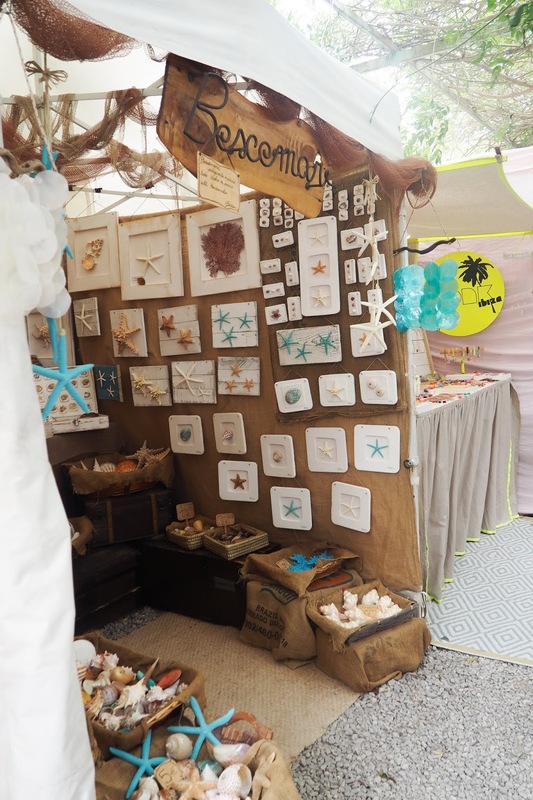 There are quite a few of these treasure troves spread across the island and we headed to the Las Dalias hippy market in San Carlos, a market with over 200 stalls, a restaurant and cafe and loads of little treasures. I picked up a little handmade purse and me and Andy got our photo taken by a real vintage camera that they printed out and developed in front of you. It's on every Saturday and they had little workshops and demonstrations on too which was really cool. They were actually filming one of the stalls for a TV show so who knows, tune into Spanish TV and you may see ya gal in the background for a promo! 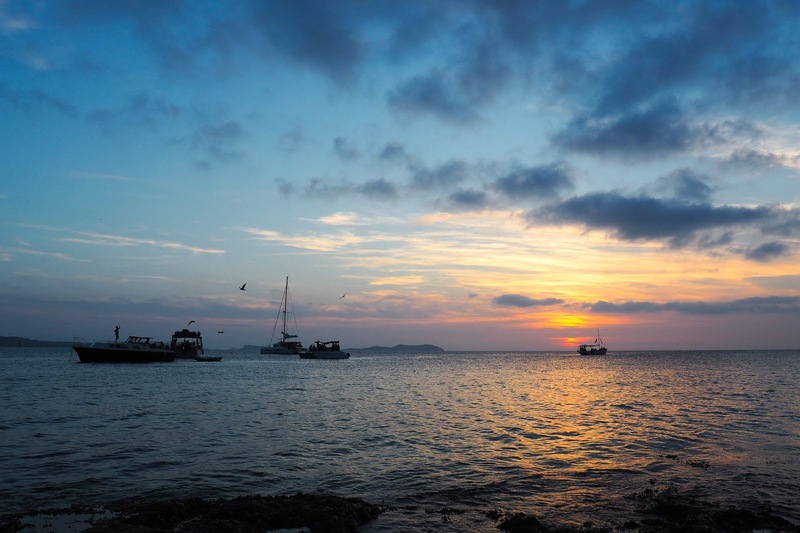 So as you can see, although Ibiza is undoubtedly most famous for it's party lifestyle and clubs, there's a lot more to the island and you don't have to be a party animal to completely adore your time here. 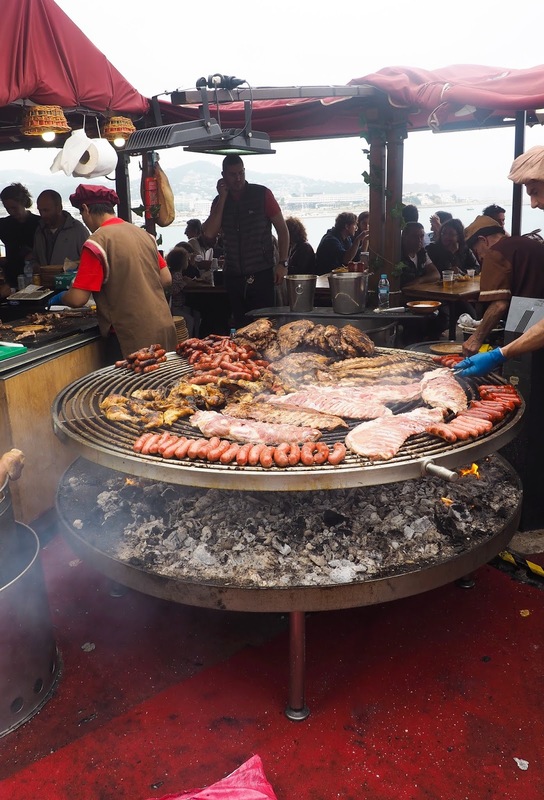 The island has so much to offer, with it's culture and history, the beautiful scenery and beaches, the food and the activities. 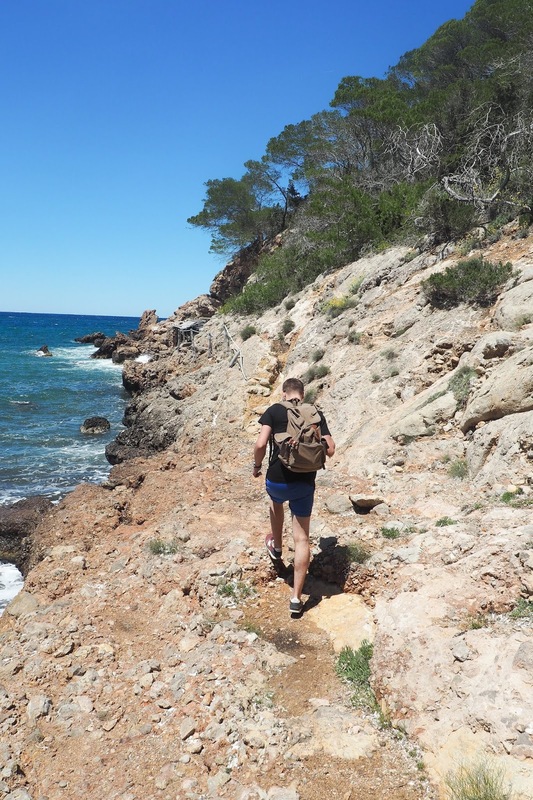 You can check out the packages Jet2 Holidays has to offer for Ibiza on their website and really experience the island for yourself, no matter what kind of holiday and travel you are looking for. 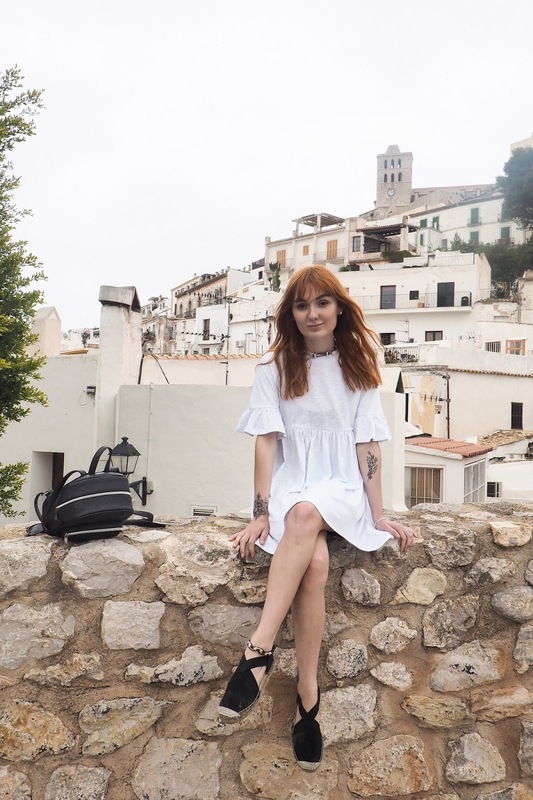 I love the empire-waisted white dress you were wearing in some of these photos! The clear calm water in that cove looks very pretty and inviting. What a fascinating and scenic locale! Your vacay looks like it was a fabulous one.